At Saratoga Spine more than 85% of our patients do not need spine surgery to treat their condition. However, there are times when surgery is appropriate. But neck or back surgery doesn’t have to be a scary thing. Many people have had back or neck surgery and gone on to live healthy, active lives. When you see these celebrities in action you’d never know that each one of them has had a surgery on their spine! 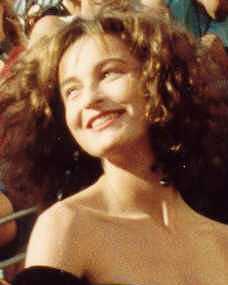 In 1987, after Jennifer Grey was done filming the classic movie “Dirty Dancing”, she was injured in a car accident. For 30 years that followed she suffered from chronic neck pain and was unable to lift her head up. Before participating in “Dancing With the Stars” in 2010, a doctor told Jennifer that dancing or exercising of any kind would put her in jeopardy. The spine in her neck was so misaligned that a slight injury or fall could cause it to slip further, damage the spinal cord and cause paralysis. Jennifer had multiple neck surgeries to correct the situation. In one, a disc was removed (discectomy). In another, a plate was inserted to keep her spine aligned. Post surgery she was finally able to hold her head up and was able to safely perform in DWTS. 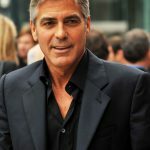 In 2005 the famous actor George Clooney suffered a serious back injury. The injury damaged the dura mater (the material that surrounds protective cerebral spinal fluid around the spinal cord). The fluid leaked out. This resulted in chronic pain and terrible headaches. Since then the actor has undergone several spinal surgeries to help minimize his pain. 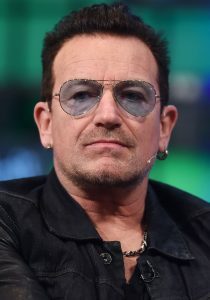 In early 2010 U2 was forced to cancel a sold-out American tour after Bono suffered a serious injury doctors described as “sudden partial paralysis”. The doctor’s initial analysis of Bono revealed a torn ligament, herniated disc and severe compression of the sciatic nerve. After emergency surgery, Bono was back on stage delighting crowds only a few months later! Harrison Ford is probably better known for his iconic movie roles than for his spine surgery. 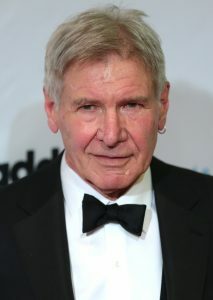 However, after herniating a disc during filming of the Indiana Jones and the Temple of Doom, Harrison underwent surgery to resolve the condition. He went on to delight movie-goers for several more decades! In 2004 the Academy Award winning actress Charlize Theron had an on set accident during the filming of Aeon Flux. Her upper spine was injured during the accident and she reported that she immediately felt numbness on the right side of her body. Filming was temporarily suspended to allow her to recover. However, years later, she continued to have neck pain so she underwent neck fusion surgery. After the surgery she reported that her body was “functioning perfectly again” and was able to tackle active movie roles such as Mad Max, the Huntsman and Atomic Blonde! Ok, so we can see that you can lead a perfectly fine life after back surgery. But can you be active? Exercise? Play sports? Stay tuned…next week we’ll give you some examples of people who’ve had back surgery and remain active after surgery. Not only are they active but the continue to play sports, professionally!